Tomorrow is the big day…Halloween! With the candy and costumes and class parties—it is no wonder that kids love this fun holiday. But in North Shores, IL we have plenty of entertainment left for adults as well! Here are a few things you may want to mark on your calendar for the next few days. This event takes place tonight at 7pm and tomorrow night (Halloween night) at 8pm and 9pm at the Evanston, IL History Center at 225 Greenwood Street. Suitable for children ages 13 and above, as well as adults, magician David Parr provides an eerie interactive tour of the historic Dawes House. Each room within the house has mysterious objects that move on their own. There are also cryptic messages given by invisible hands. This sophisticated supernatural tour costs $20 per person and is a special event that helps you gear up for Halloween! On Halloween night, the haunting, psychological thriller Turn of the Screw will be performed at Oil Lamp Theatre in Glenview, IL. This play is geared for adults and features a young governess who is sent to a country mansion to take care of educating two young orphans. 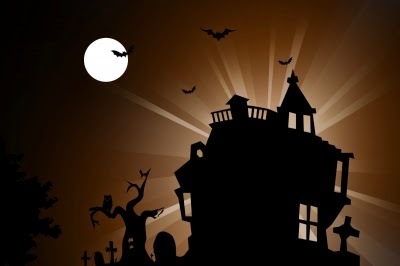 The spooky play will leave your mind racing with unanswered questions! During this fall season, are you considering selling your North Shores home or purchasing a new one? I am a seasoned North Shores real estate agent and am happy to help you find the home of your dreams. The fall can be a slower time in terms of real estate, but there are still plenty of good deals to be had. Selling your home during a slow season may have the benefit of not much competition. Give me a call today! City Active Listings: There are a total of 129 properties actively on the market with the average price of $660,723 in Deerfield. City Sold Listings: 32 properties closed last month in City with an average sales price of $476,556, the average time on market for these properties was 42 days. City Active Listings: There are a total of 83 properties actively on the market with the average price of $1,700,567 in Glencoe. City Sold Listings: 12 properties closed last month in City with an average sales price of $1,264,740, the average time on market for these properties was 44 days. City Active Listings: There are a total of 245 properties actively on the market with the average price of $1,019,411 in Highland Park. City Sold Listings: 47 properties closed last month in City with an average sales price of $512,913, the average time on market for these properties was 54 days. City Active Listings: There are a total of 300 properties actively on the market with the average price of $701,657 in Northbrook. City Sold Listings: 54 properties closed last month in City with an average sales price of $505,971, the average time on market for these properties was 32 days. Brighten Up Your North Shore, IL Home!